It’s official! 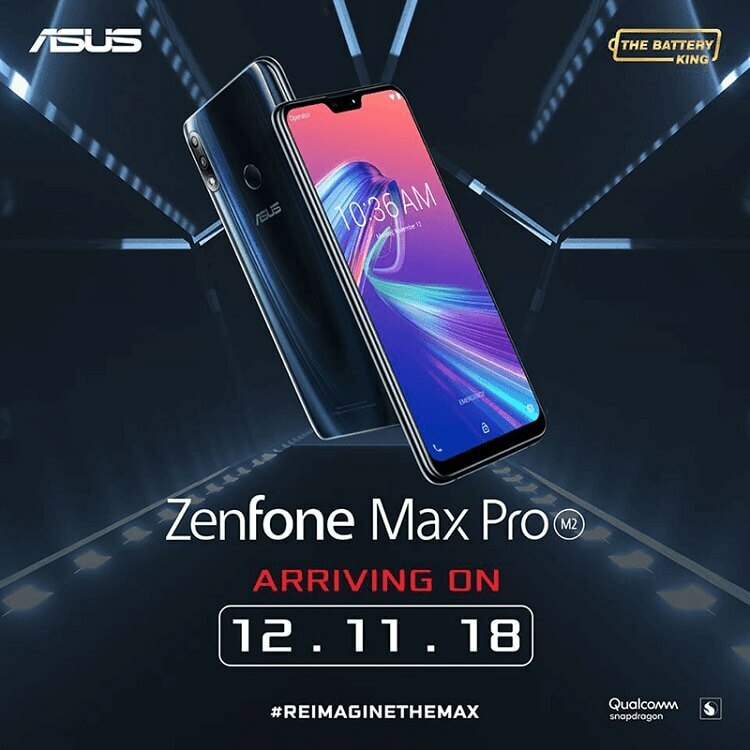 ASUS is set to take its stage on December 11, 2018 to launch the newest member of its Battery King family – the ZenFone Max Pro M2. The teaser photo is accompanied by its #ReimagineTheMax tagline, suggesting that just like its predecessor, the ZenFone Max Pro M2 will be a battery-centric smartphone that can last longer compared with other devices. Dressed with a 3D glass design, the ZenFone Max Pro M2 flashes a big screen with a notch on top of it. Rumors suggest that it will sport a triple-rear camera setup, however, the teaser photo revealed that it will only boast two cameras on its back. Meanwhile, according to reports, the device will flaunt a 6.3-inch FHD+ screen. Under the hood, it is said to carry a Snapdragon 660 chipset paired with Adreno 512 graphics. It might be coupled with 4GB of RAM and 64GB of internal storage, too, which could be expanded up to 2TB via microSD card. As a Battery King smartphone, the Max Pro M2 could be powered by a whopping 5000mAh stamina. There are no details about its price yet. Stay tuned for more updates!